Do you know a girl who loves the great outdoors and going on adventures? If so, this is the perfect card for her; great for your mum, girlfriend, wife, sister, daughter or friend. Also fab if she just loves wearing woolly hats! 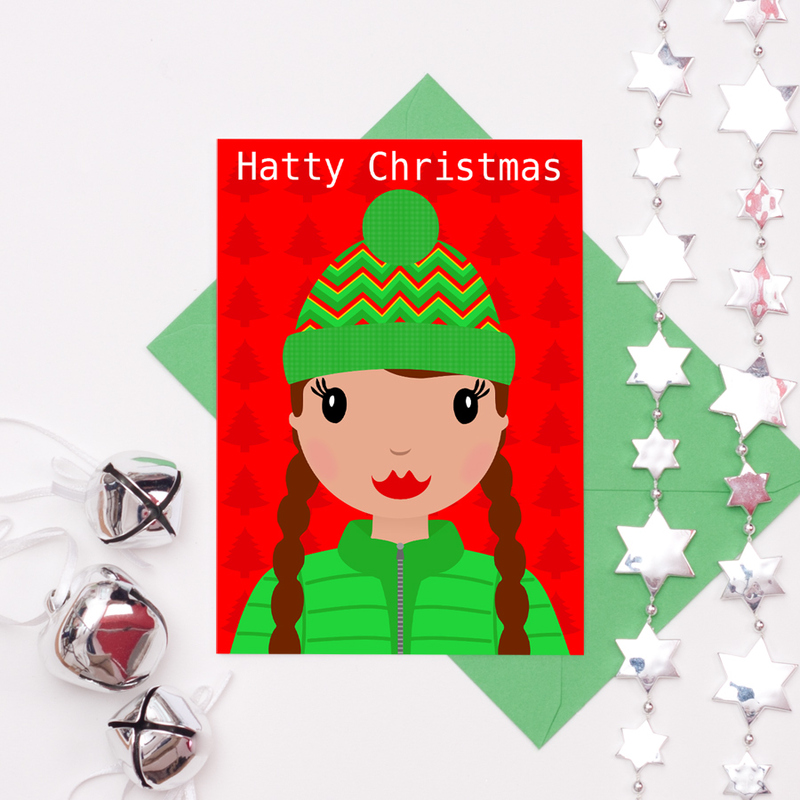 The design features a cool girl wearing a Christmassy hat and plaits in her hair. The text ‘Hatty Christmas’ is printed along the top, against a Christmas tree patterned red background. The card is available in A5 size and also A6 size and is blank inside for your own special message. Be the first to review “Hatty Christmas Card” Click here to cancel reply.